Niouk Yen is a delicacy in Mauritius. They are steamed dumplings made with grated chayote. I’ve found that daikon radish can also be used. 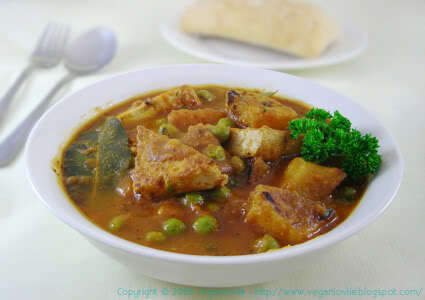 Enjoy with garlic sauce or chili sauce on their own or in a broth with noodles. 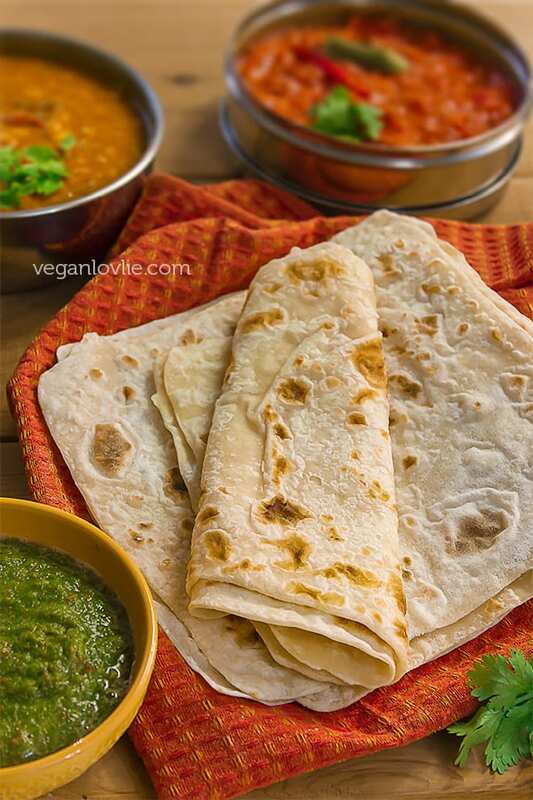 Food cravings for the local cuisine – aren’t they the worse when you really can’t find the food you are craving for where you are? For a few months now, Boyfriendlovlie and I have been craving our local dumplings – Niouk Yen being one of them. Despite living in many countries where Chinese cuisine is so popular, I have never come across a Chinese place that sells Niouk Yen. So, undoubtedly, they must really be a typical Mauritian-Chinese delicacy. They are dumplings that are made with chayote then steamed and eaten accompanied by your favourite chili, soy or garlic sauce. You know what? My mouth is watering (again!) 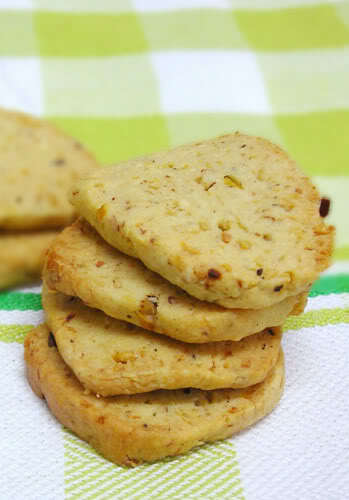 as I am typing this, they are that delicious and yet require very few ingredients. In Mauritius, these dumplings are a common street food, so much that no one really makes them at home. 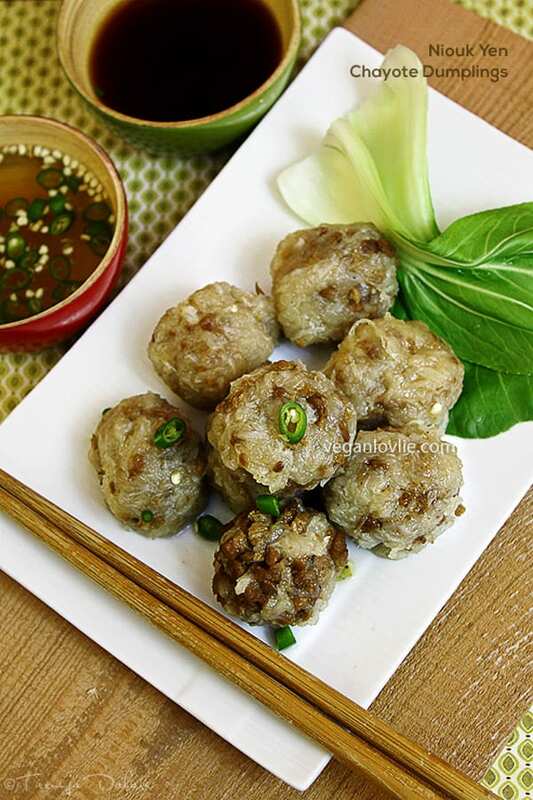 We just go to one of the reputable “marchand boulettes” (dumpling sellers) and order them. 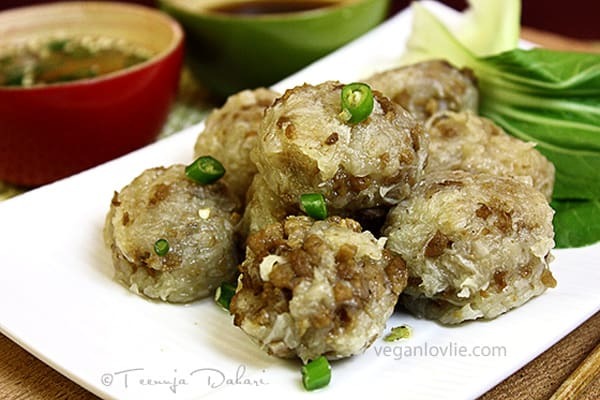 Well, that was before I became vegan actually – these dumplings are not originally vegan. The recipe usually calls for dried freshwater shrimp and/or meat. So, even if I made a holiday trip back to the island, I probably couldn’t enjoy them unless I make them myself. Speaking of which, I decided to go ahead and make them. Daunting as they have always sounded (since they taste so great, you would think that a lot of preparation goes in there), they were not actually all that hard to make. I was pleasantly surprised with the results! Chayote (or locally known as chouchou) is one of the most common vegetable available in Mauritius. But here in Montreal, unless I make a trip to the Asian store (or every now and then, but not always, Super C carries them), I usually have a hard time getting hold of them. So, in this recipe, I have substituted them with daikon radish and they were pretty tasty with just a slight difference in taste. Texture-wise, I would say it is 98% close – daikon radish has a little more firmness compared to chayote which is more tender. But both are good to use. Watch the step by step video for easy directions. Add salt to the grated chayote or daikon. Leave it to sweat for 5 minutes. Drain all the water. Take small amounts of the chayote in between your hands and squeeze out all the water. Once all water is squeezed out, add the rest of the ingredients. Form small balls (about 1-inch diameter) with your hand. If you are finding it difficult to form the balls, add more cornstarch until mixture holds well together. In a steamer, place a couple of dumplings to steam for 5 – 10 minutes. If dumplings don’t fall apart, then add the rest of the dumplings and steam for 15 minutes. If dumplings do fall apart, then add more cornstarch to the rest of the mixture and form the balls. 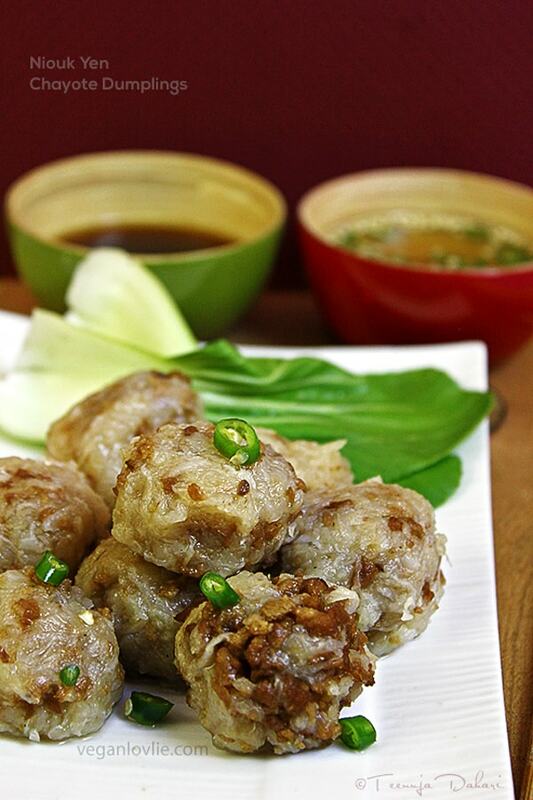 These dumplings are best enjoyed warm accompanied with a ginger/garlic sauce. Enjoy with the dumplings. I do hope you give this recipe a try because I would love to hear what you think of Mauritian food! And last but not least, I also made a video for this one too (see above)! Niouk Yen are a delicacy in Mauritius. They are steamed dumplings made with grated chayote. I've found that daikon radish can also be used. 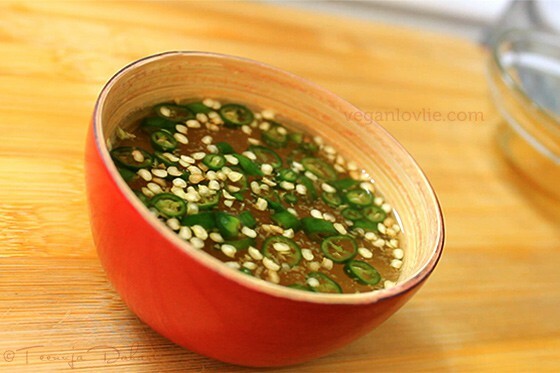 Enjoy with garlic sauce or chili sauce on their own or in a broth with noodles. In a steamer, place a couple of dumplings to steam for 5 - 10 minutes. If dumplings don't fall apart, then add the rest of the dumplings and steam for 15 minutes. The garlic sauce can be made in advance and kept in the refrigerator to marinate. It will keep for up to 2 months or more in a closed jar in the fridge. Always use a clean utensil when taking the sauce out of the jar to serve. 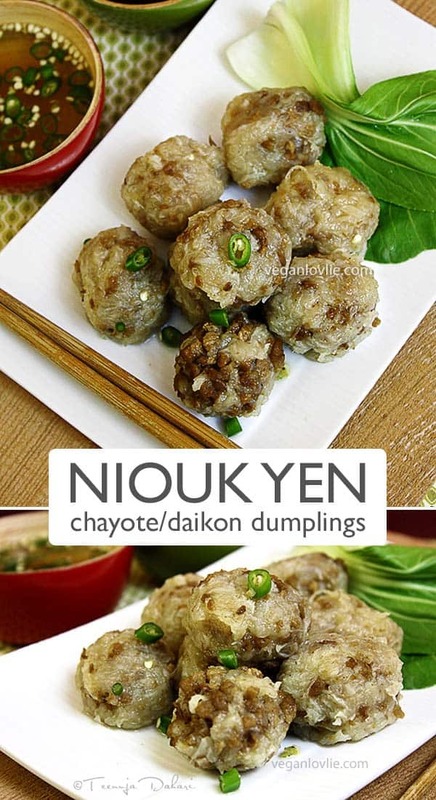 I&#39;m not familiar with niouk yen but they sure do look tasty! 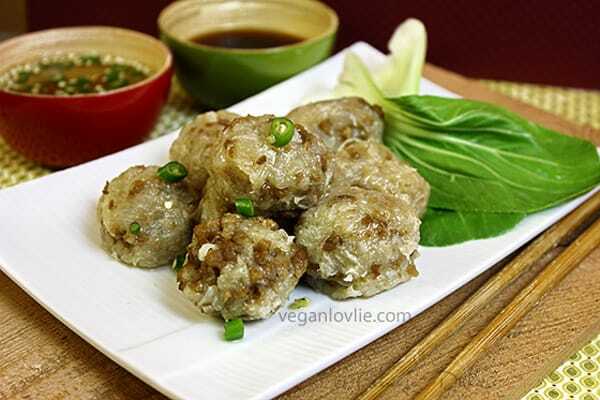 I love steamed dumplings and these seem really easy to make too. What&#39;s in the vegan mince meat? The vegan mince meat is wheat and soy protein based. I am using the Yves brand. http://www.yvesveggie.com/products/detail.php/meatless-ground-round-original<br />You can also use TVP if you season it a little bit. They look absolutely fabulous. I had never heard of niouk yens. 🙂 nicee, they look yummy! We do Niouk Yen from time to time when we miss mauritian food. For the Chayotte, we usually buy it at Sami Fruits ( they have a lot there and usually of good quality). When we don&#39;t have time, we go to Provigo but it&#39;s a little bit expensive there. We also go to Fruiteries 440 :D.
Ah yes Fruiteries 440, I been there a few times. But it&#39;s a 20-min walk from my place. The bus doesn&#39;t stop that close. I am waiting till we have our driving license then it will be easier to get around. Everything is so far over here! To be quite honest, I did not know they were actually a Chinese delicacy, I’ve seen these &#39;similar&#39; Chinese street food before at Phuket Vegetarian Festival – they were gooey, savory and sometimes nutty (http://www.templeofthai.com/recipes/sakoo_sai_moo.php). These dumplings look like a great snack, and the ginger and garlicky sauce you made sounds wonderful!